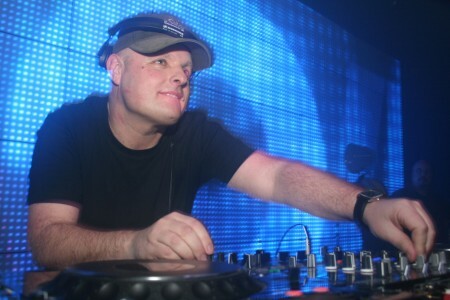 Dave Pearce is one the UK’s most in demand DJs, known for his euphoric style of uplifting trance and hard dance. He currently presents Dave Pearce Anthems, a new three-hour weekly show every Saturday Night broadcasting on the UTV Network in the UK. Previously at BBC Radio 1 for 13 years, he first began his Sunday night Dance Anthems show in 1998 and built it into a national radio institution. On leaving Radio 1 Dave moved his Dance Anthems show to Sunday nights on BBC Radio 6 Music, which celebrated 30 years of dance music before transferring onto BBC Radio 2 to present Dave Pearce: Dance Years as well as a series of specials on the genre for both Radio 2 & 6Music. Dave first came to the airwaves in the early 80s, cutting his teeth on London’s pirate radio stations before landing two shows on BBC Radio London, where he gave pioneering US DJs Frankie Knuckles and Tony Humphries their first UK interviews. He also hosted BBC radio’s first ever hip-hop show, ‘A Fresh Start to the Week’ – where he famously helped launch the careers of artists like Public Enemy, whose landmark album ‘It Takes A Nation of Millions to Hold Us Back’ he also featured on. In the late 80s, Dave took up the position of A&R Director at Urban Records, signing a whole host of now classic tracks, including the underground house anthem ‘Better Days’ by Jimi Polo. As acid house gripped the UK, the label also allowed him to unleash the UK’s biggest selling acid house album, ‘Urban Acid’, with a now legendary launch party at the infamous Spectrum. After a daily dance show on GLR, Dave joined London’s Kiss 100FM in the early 90s, after supporting their campaign for a radio licence. As well as presenting the Dangerous Breakfast Show, he also promoted the Kiss at the Astoria raves, which regularly saw thousands queuing to see performances from the likes of The Prodigy and Shades of Rhythm. In 1995, Pearce joined Radio 1 and soon took over the DriveTime show, adding a million listeners and taking house music to a wider audience through his daily ‘mix at six’. He also created the Sunday night clubbers’ institution ‘Dance Anthems, which ran for 10 years, as well as persuading the station to launch the regular Dance Parties, which saw him play to crowds of up to 25,000 people on beaches across the UK alongside DJs such as Carl Cox and Paul Van Dyk. In the late 90s, Dave created NuLife Records, scoring hits with Warp Brothers, Rui da Silva, Ian van Dahl, Joshua Ryan, Lou Reed and even Victoria Beckham. He’s also written dance columns for the The Sun and Daily Star newspapers and championed trance music, giving DJs such as Tiesto their first live mixes on Radio 1, not to mention supporting new producers with his Bedroom Producer slot. 2008 saw him host a sold out UK Dance Anthems club tour, selling over 150,000 of his Trance Anthems 2008 CD on Ministry of Sound, celebrating ten years of his Ibiza Residency at Eden, playing summer festivals including Gatecrasher Summer Soundsystem, the Godskitchen arena at Escape in the Park, Coloursfest in Glasgow, Planet Love in Northern Ireland and Radio 1’s Big Weekend. 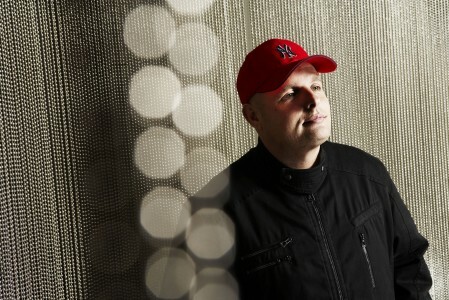 He also hosted parties in Mallorca, Tenerife and Corfu hosted Dave Pearce’s Top 100 Dance Anthems for MTV and released a 10 part retrospective of dance CD – The Dance Years. Busy each summer season Dave’s not stopped DJing across Europe. Last year Dave took residency at BCM in Mallorca and released a new album, BCM Mallorca 2013 with more to come in 2014.